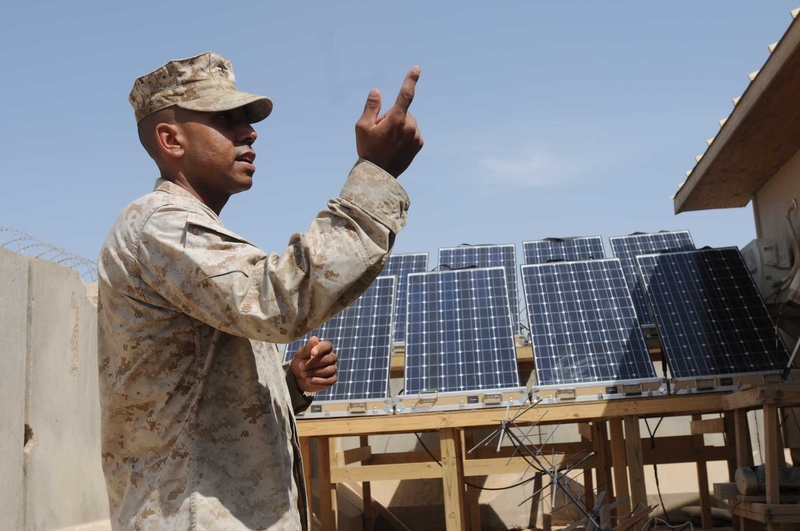 The 5th ANGLICO (Air, Naval, Gunfire Liason Co.) are using the GREENS solar power system to power some of their computers and communications at Camp Leatherneck in Helmand Province, Afghanistan on April 05, 2012. Capt. Ahmad Martin, Company Communications Officer, explains the GREENS system.